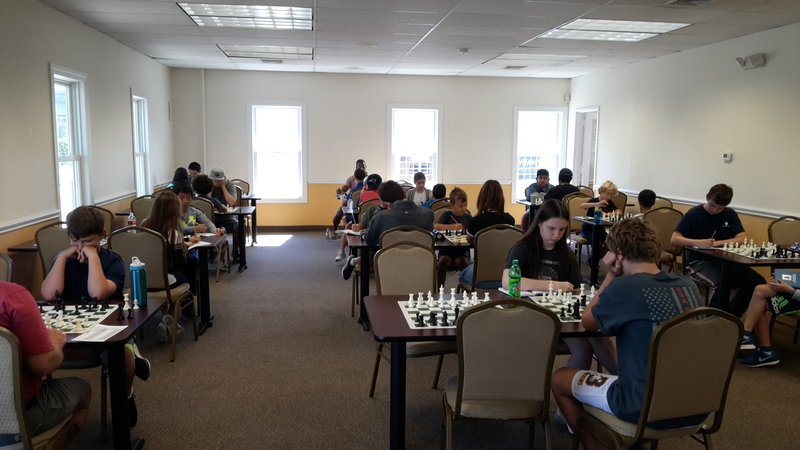 Today’s tournament hosted eight quads with players rated from unrated to 2400+! Quad one was won by FM Leif Pressman by a full two point margin! Quad two was extremely close with four players rated within just 25 points of each other! 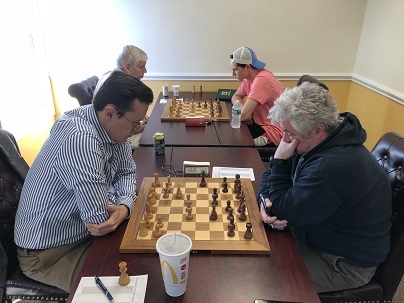 Jack Grills was the only player in this quad to go undefeated (one win and two draws) which was enough to secure first place by the slimmest of margins. Quad three was won by Jack Klein with a convincing 2.5/3 score. Quad four was again extremely competitive, with no player out-rating anyone else by more than 38 points! This did not stop Katherine Hatcher and William Ewald from going on a tear! They shared first place with 2.5/3 each. Stanley Guttman was the narrow winner in quad five with 2/3. 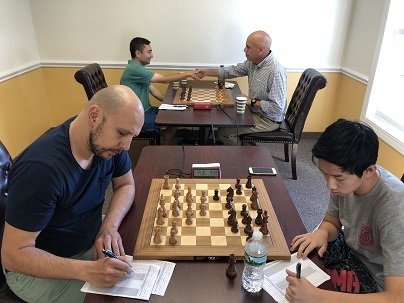 Guttman suffered a first round defeat, but then rebounded nicely, winning his final two games. Nathaniel Moor scored a decisive victory in quad six, winning all three games! Quad seven saw Maxwell Meister and Connor Wang each go undefeated to share first place with 2.5/3 each. Finally, tournament newcomer, Joshua Jackson, won all three games in quad eight to take clear first! Congratulations to all of our winners and thank you to all that participated today!